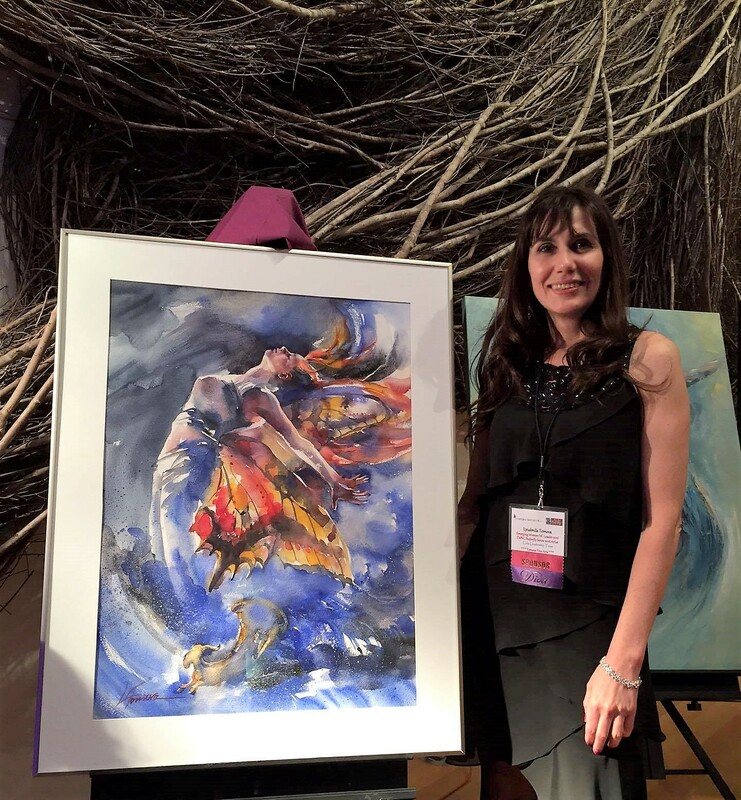 Lyudmila Tomova (Lucy) is a rising star on the Triangle, North Carolina art scene and has received numerous awards and recognition for her masterfully executed work. 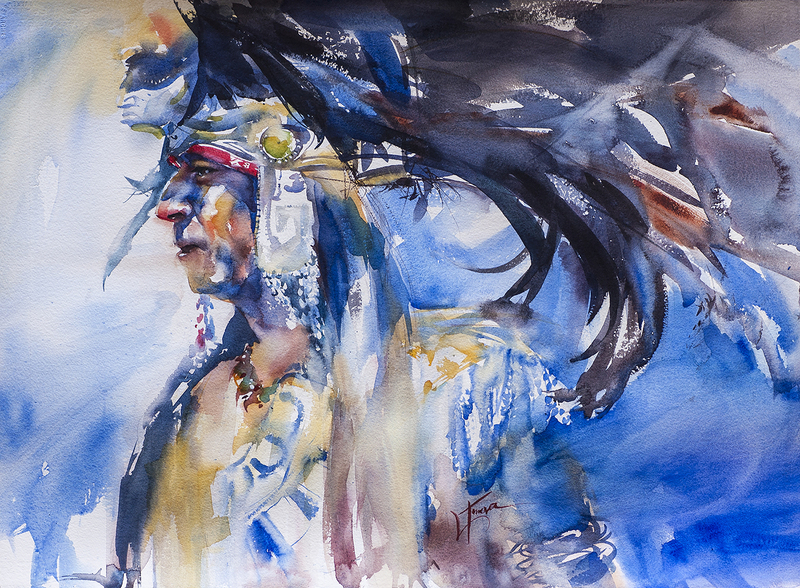 Her watercolors have attracted much attention locally, nationally and internationally with the expressive brushwork, color, line and a stylized flair that emphasize movement bringing the images to life. Originally from Sofia, Bulgaria, Lyudmila immigrated to the US twenty five years ago and lived in New York City being a full time painter, editorial illustrator and designer, exhibiting nationally and abroad. Her strong education in Classical realism from the Sofia’s Academy of Fine Arts and later from FIT in New York where she studied Illustration, as well as her diverse artistic experience of over 20 years has helped her establish herself as one of the most versatile and prolific artist in the Triangle. She was nominated as an Emerging Woman 2016 and was personally recognized at the NC Museum of Art where the first of her “Butterfly Women” series was unveiled. 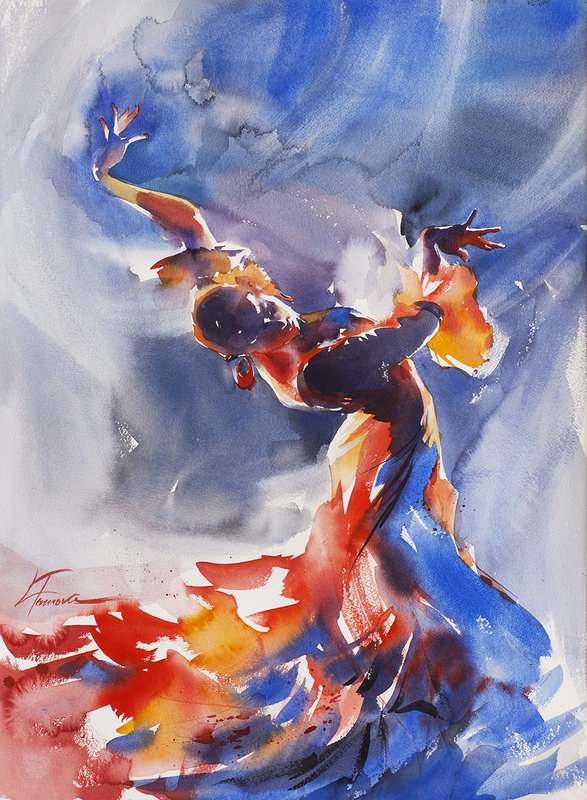 Her work has been juried into numerous national and international exhibitions such as, MOWS International Juried Exhibition in Quingdao, China, the 1st International Watercolor Society Biennale in Vancouver, Canada, the 41st Annual Western Federation of Watercolor Societies Exhibition in Denver, Colorado and many others. She was also accepted into the North Light Books’ watercolor competitions Splash 20: Creative Composition and Splash 18: Value | Light + Dark, part of the Splash: Best of Watercolor series for the ArtistsNetwork and in North Light Books’ drawing competition Strokes of Genius 8: Expressive Texture. 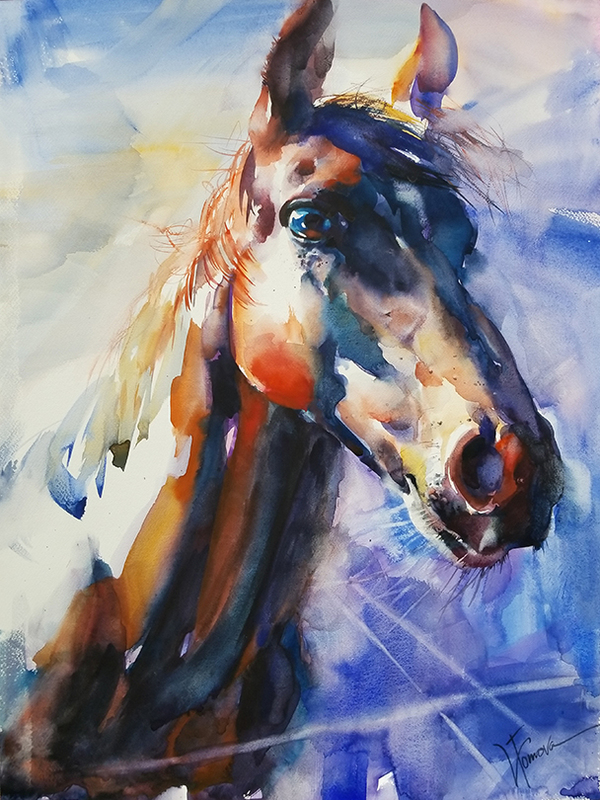 Lyudmila resides in Cary and has a watercolor workshop in various locations in North Carolina. She is also a co-director of the Watercolor Society NC Central region .